Mere Fidelity: What to do with Refugees? With the refugee crisis in full swing in Europe and the Middle East, Christians are questioning just what our role is in this situation. There’s the immediate, knee-jerk response of sending aid, and the desire to welcome the poor and hungry. But there are also long-term questions that many have begun to raise about the wisdom of just how we ought to be helping them. 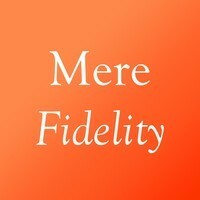 Matt, Alastair, Andrew, and I take up these questions and more in this episode of Mere Fidelity. I hope this offer’s some wisdom and guidance in a bewildering and overwhelming situation.